Undertaking work on your property is seemingly an arduous task for anyone- experts included! If you’re expecting your project to generate a significant amount of waste, too much to fasten the lid on your wheelie bin or too much to fit in the boot of your car, and drive to the local tip, domestic skip hire in Leyland could be ideal! Here at Preston Skip Hire, we can provide skips for projects of all sizes, so whether you’re redecorating your home or renovating your property, you can bet we have just the solution. Any domestic skip hire in Leyland is guaranteed to accommodate your exact requirements, we take care of the waste you need to remove from your premises. Selecting the right size skip. Skip hire in Preston works in the same way as skip hire Leyland. Before you can even start your project, you need to think about the volume of waste that your project is likely to generate. Our skips are available in an assortment of sizes, so you needn’t worry about finding something suitable. Make sure that you choose the right size skip for your project- this will allow you to maximise the space you have to dispose of unwanted materials and will provide you with exceptional value for your money. We recommend the 2-yard mini skips for anyone looking for skip hire Preston. These skips are perfect for small projects, like updating your garden or clearing out your garage. To put the size of our 2-yard skips into perspective; imagine storing 20-30 bin bags of waste or 4 wheelie bins. 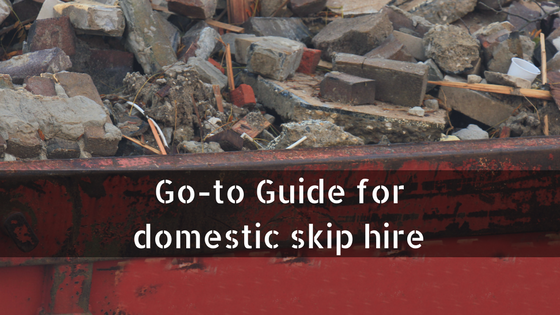 The mini skips for skip hire in Preston are also suitable for throwing out your old sofa. In terms of affordability, our mini skips are the cheapest ones that we have available. If you’re looking to keep your costs to a minimum, they are an ideal investment to make, however, don’t be tempted to order one if you know your project will generate too much waste to fit inside! Perhaps you’re undertaking a medium-sized project? The 4-yard skips are ideal for anyone who’s refurbishing their kitchen or bathroom and looking for somewhere to store waste materials. When choosing skip hire in Wigan you’ll find that our midi skips are surprisingly spacious and can store your waste securely. These skips allow you to store up to 40 bin bags, ensuring that any waste is kept off the ground. The 6-yard skips are suitable for various applications, including small building projects. A midi skip, like the 6-yard ones that we provide for skip hire in Wigan, is perfect for customers who are planning to build an extension. With these, you’ll have the freedom to dispose of up to 60 bin bags conveniently ensuring that waste is removed effectively. We supply the 8-yard maxi skips for larger projects like property clearances. These skips can often be referred to as “builders skips” offering sufficient space for you to store any heavy or bulky materials. At Preston Skip Hire, the 8-yard skips are arguably the “workhorse”. They are the skips that a vast majority of our customers go for to make sure that they have ample space to store unwanted materials. Wondering how big the 8-yard skips are? Picture a skip that can hold between 60-80 bin bags of waste and 4 sofas! When loading your skip, you need to be mindful of the items you throw inside it. Any of the skips that we provide for domestic skip hire in Bolton and skip hire in Chorley will incorporate a maximum fill line that goes around the outside of the skip. Choosing to take no notice of this indicator will only make your skip hire Chorley expensive because any skips that are overloaded can be rejected and you will be faced with additional charges for not adhering to skip policy. Any skips that are full to the brim with waste will not only work out pricey but could also compromise safety. When our fleets collect your skips, they need to be able to lift them with ease- without waste sliding out- hence why it’s so important that you don’t throw too much waste inside them! What can go inside your skip? The skips that we provide at Preston Skips are perfect for storing a wide range of materials that your project generates; whether it be building waste or garden waste. If you need to dispose of wood, metal or plastic, choose one of our domestic skips today! As well as this, we can offer a suitable solution for disposing of bricks, rubble, furniture and soil, allowing you to get rid of them efficiently. What can’t go inside your skip? If you’re tempted to throw your fridges and freezers into your skip- you may want to reconsider! The skips we provide for skip hire in Bolton are not suitable for hazardous materials and appliances that require special disposal. Fluorescent tubes, asbestos and car tyres are all materials that are prohibited from our skips, as are oils, chemicals and cylinders! Although our skip hire services are provided to offer greater convenience, we cannot accept plasterboard as this can compromise the recyclability of the other items held inside the domestic skip. Getting the most out of your skip hire. Here at Preston Skip Hire, we pride ourselves on providing all domestic customers with a suitable solution for disposing of waste. As a reputable skip hire company; we have the knowledge and expertise to help you to find the most suitable skip for your project, ensuring that you have enough space to dispose of junk- without being charged extra. So, if you’re looking for cheap skip hire in and around Preston, you’re in capable hands, here at Preston Skip Hire! Request a free quote here today!